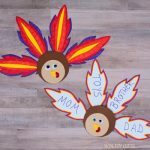 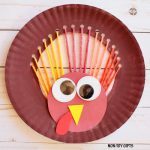 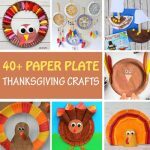 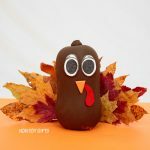 Looking for an easy Thanksgiving craft for kids? 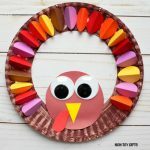 Make this adorable footprint turkey wreath and you can use it as decoration. 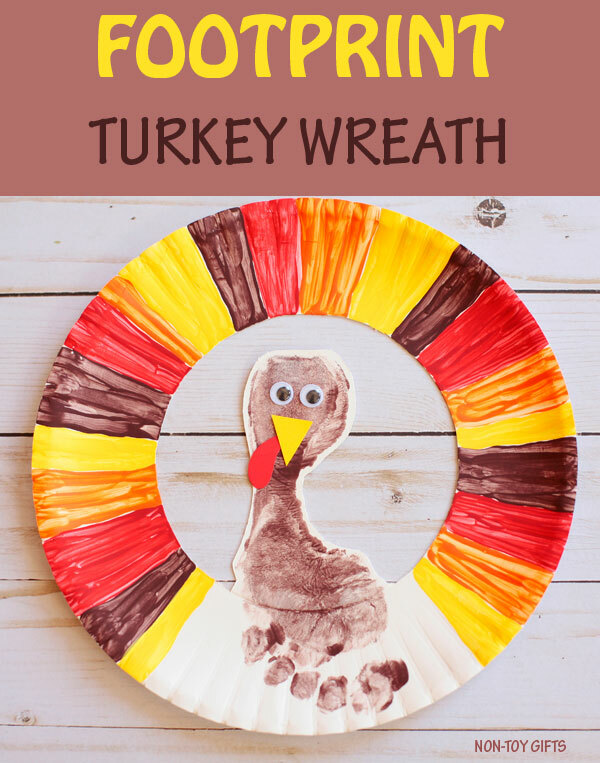 Or you can create several wreaths and write your guests names on the top of each wreath. 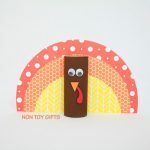 They will be the best DIY Thanksgiving place cards ever. 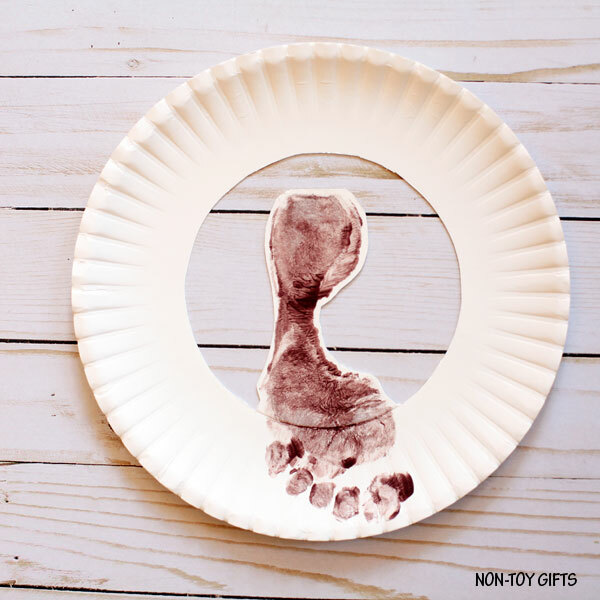 Step 1: Apply brown paint on your child’s foot and press it onto a paper plate. 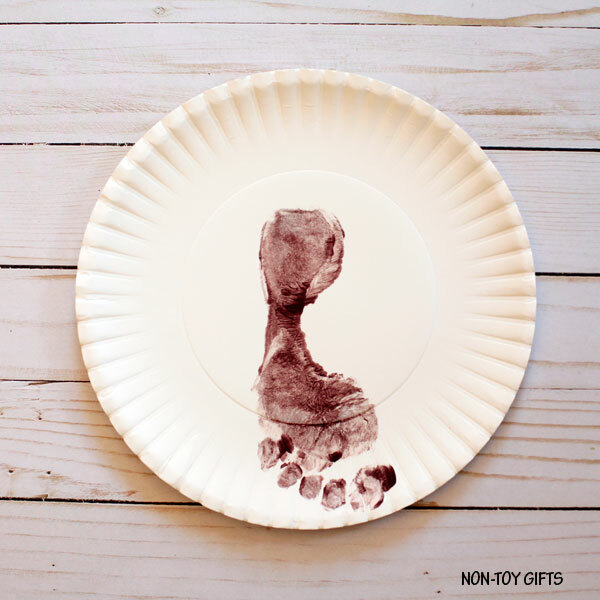 Make sure his toes touch the rim of the paper plate. 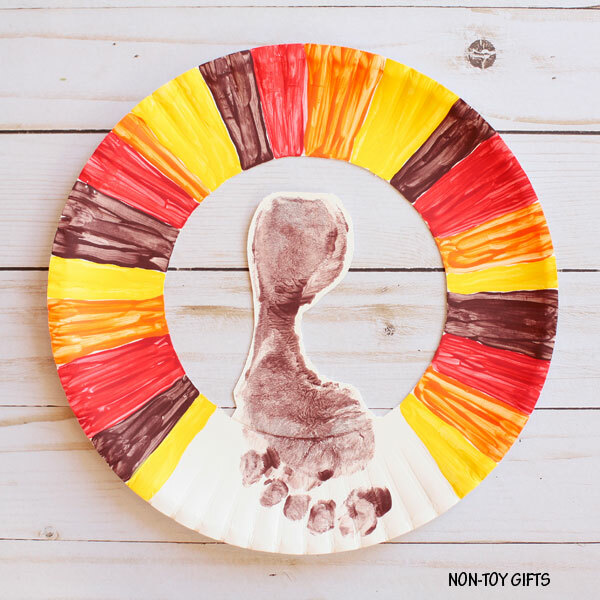 Step 2: Once the paint has dried, use a craft knife to cut along your child’s footprint and then go around the rim in a circle. 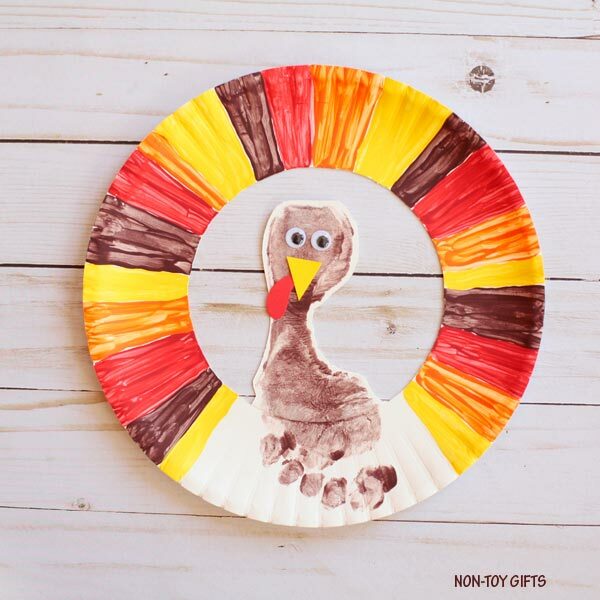 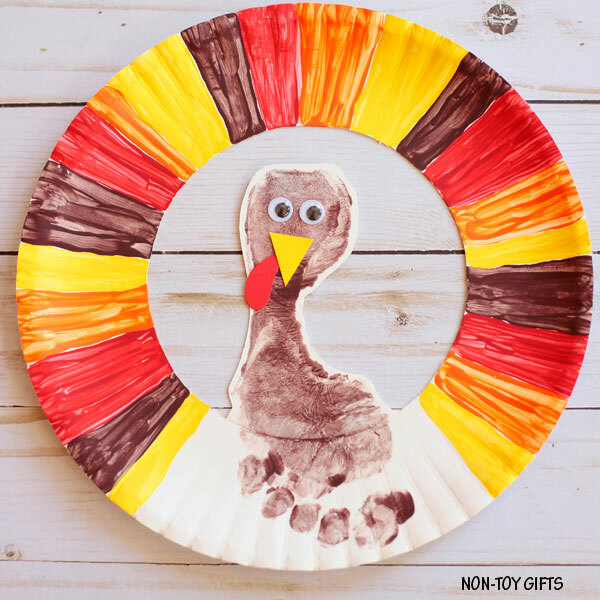 Step 3: Use brown, red, orange and red to paint the turkey’s feathers around the paper plate. 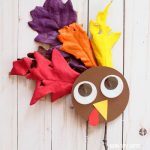 Step 4: Cut out the beak from yellow cardstock paper and the snood from red cardstock paper and glue them onto the footprint. 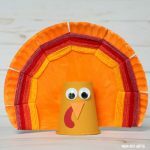 Glue also the small googly eyes.